The recent Tytera MD-380, also known as Retevis RT-3, is very nice DMR portable UHF rig. However, one of its weak points is the programming software. 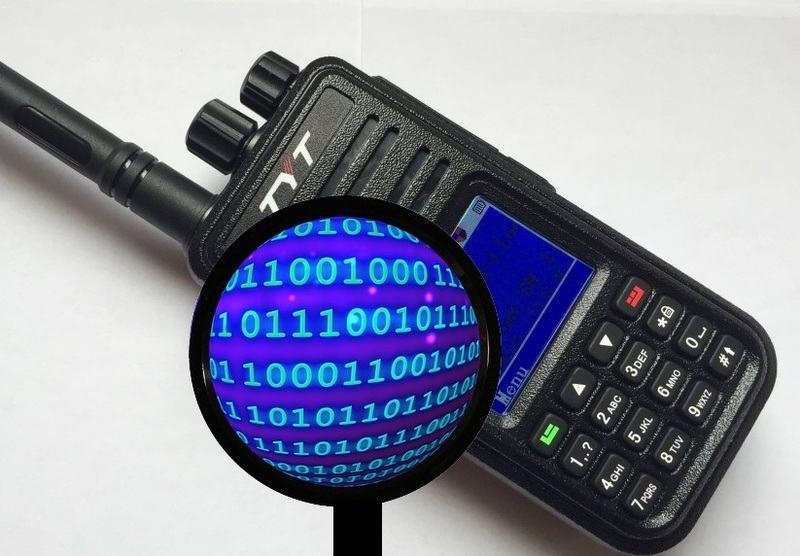 While DMR for utility use often requires simple programming, when used for HAM radio, the big and evolving number of available repeaters, users and zones makes programming a big hassle. The included programming software allows to do basic editing of the codeplug, but all the job has to be done manually. Inserting hundreds of records by hands is not what we expect to be doing in the computer era. Unfortunately the programming software does not have an export/import feature. The specification of the binary format of the codeplug is available at this link. This is why I studied the binary format of the codeplug, a file with extension .rdt that is saved and loaded by the Tytera/Retevis programming utility, and created rdt2csv, a command line utility that exports and imports the contents in CSV files. CSV files are text files organized in lines, where each line is divided in fields, as specified by rfc4180. These files can be processed by Excel or OpenOffice Calc, editted with a simple text editor or processed by automatic utilities. The rdt2csv utility exports the various tables in different CSV files. For example, it exports a file for the Channel Information table, adding one line for every defined channel. Same it does for the Zone Information, for the Scan List, the Digital RX Group List and so on. Single entries, like General Settings, is exported as a CSV file containing a single line. Note: from build 19020, rdt2csv detects and handles also the .bin/.img files generated by the md380-dfu command from the md380tools. The codeplug records contain references to each other. For example, inside a “Channel Information” the “Contact Name” field is a reference of a record in the “Digital Contacts” list. The codeplug stores this reference as the position in the target table: for example, if channel “ABC” has “Contact Name” internally set to 3, it means that it refers to the third entry of the “Digital Contacts” list. Maybe this is one of the reasons why the programming software does not allow to change the position of the records, who known. The rdt2csv utility. instead of the number, uses the “Name” field of the referenced record. For example, if an exported channel has Contact Name referencing “John”, it will be exported as “John” and not using the internal number. In this way, the order of the records can be changed in the CSV files without loosing the right references. rdt2csv is a command-line utility. This means that you will have to open an old “DOS” window and type in the command with parameters. I might later release a graphic version of this utility. This program can be freely redistributed. If the -e parameter is specified, the program will read the indicated .rdt file and it will export its contents in the listed .csv files. 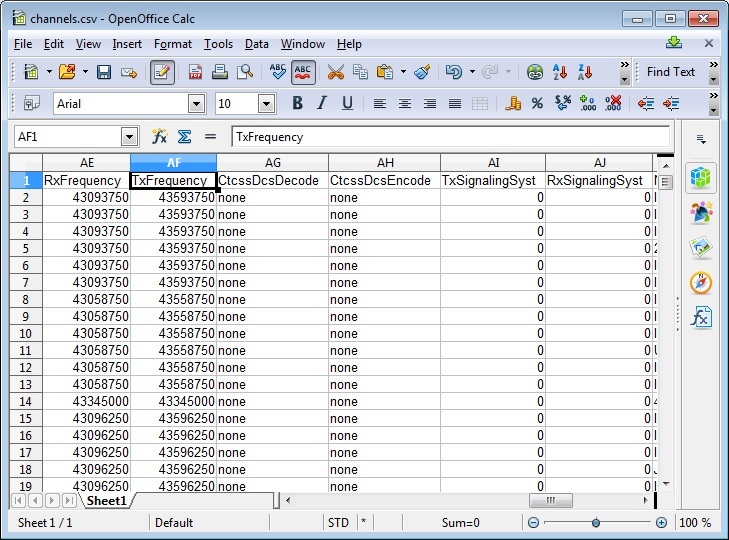 The example above reads the codeplug myCodeplug.rdt and exports its “Channel Information” table into a file called “channels.csv” and its “Scan List” in a file called “scan.csv”. If the -u parameter is specified, the program will read the listed .csv files and merge their contents in the indicated .rdt file. The example above reads the files called “channels.csv” and “scan.csv” and merges them in the indicated codeplug myCodeplug.rdt. The word merging means that, in the example above, all the channels will be overwritten by “channels.csv”, all the scan lists will be overwrittend by “scan.csv”, but all the other information stored in the codeplug will not be touched. The rfc4180 specification defines a CSV file to be separated by commas. After all, “CSV” is an acronym for “Comma Separated Values”. However, in many countries, including Italy, comma is used as decimal separator instead of the usual dot. For this reason, programs like Excel, when used in such countries, use a semicolon or a tab as separator. These separators can be used specifying the parameters -sc (semicolon) or -tab (tabulator). The names of the columns (i.e. “CallId”, “CallReceiveTone”, etc.) are specified in the description below. Also, some cells are required to assume one among some listed values. For example “CallType” can be one among group, private, all. Any other string will be refused. The valid names and values for every available table are described in the tables below. ContactName Set to empty or to a valid name in table DigitalContact. ScanList Set to empty or to a valid name in table ScanList. GroupList Set to empty or to a valid name in table DigitalRxGroupList. Name Maximum length: 16 characters. ContactMember01 Set to empty or to a valid name in table DigitalContact. ContactMember02 Set to empty or to a valid name in table DigitalContact. ContactMember03 Set to empty or to a valid name in table DigitalContact. ContactMember04 Set to empty or to a valid name in table DigitalContact. ContactMember05 Set to empty or to a valid name in table DigitalContact. ContactMember06 Set to empty or to a valid name in table DigitalContact. ContactMember07 Set to empty or to a valid name in table DigitalContact. ContactMember08 Set to empty or to a valid name in table DigitalContact. ContactMember09 Set to empty or to a valid name in table DigitalContact. ContactMember10 Set to empty or to a valid name in table DigitalContact. ContactMember11 Set to empty or to a valid name in table DigitalContact. ContactMember12 Set to empty or to a valid name in table DigitalContact. ContactMember13 Set to empty or to a valid name in table DigitalContact. ContactMember14 Set to empty or to a valid name in table DigitalContact. ContactMember15 Set to empty or to a valid name in table DigitalContact. ContactMember16 Set to empty or to a valid name in table DigitalContact. ContactMember17 Set to empty or to a valid name in table DigitalContact. ContactMember18 Set to empty or to a valid name in table DigitalContact. ContactMember19 Set to empty or to a valid name in table DigitalContact. ContactMember20 Set to empty or to a valid name in table DigitalContact. ContactMember21 Set to empty or to a valid name in table DigitalContact. ContactMember22 Set to empty or to a valid name in table DigitalContact. ContactMember23 Set to empty or to a valid name in table DigitalContact. ContactMember24 Set to empty or to a valid name in table DigitalContact. ContactMember25 Set to empty or to a valid name in table DigitalContact. ContactMember26 Set to empty or to a valid name in table DigitalContact. ContactMember27 Set to empty or to a valid name in table DigitalContact. ContactMember28 Set to empty or to a valid name in table DigitalContact. ContactMember29 Set to empty or to a valid name in table DigitalContact. ContactMember30 Set to empty or to a valid name in table DigitalContact. ContactMember31 Set to empty or to a valid name in table DigitalContact. ContactMember32 Set to empty or to a valid name in table DigitalContact. InfoScreenLine1 Maximum length: 10 characters. InfoScreenLine2 Maximum length: 10 characters. PcProgPassword Maximum length: 8 characters. RadioName Maximum length: 16 characters. PriorityCh1 Set to empty or to a valid name in table ChannelInformation. PriorityCh2 Set to empty or to a valid name in table ChannelInformation. TXDesignatedCh Set to empty or to a valid name in table ChannelInformation. ChannelMember01 Set to empty or to a valid name in table ChannelInformation. ChannelMember02 Set to empty or to a valid name in table ChannelInformation. ChannelMember03 Set to empty or to a valid name in table ChannelInformation. ChannelMember04 Set to empty or to a valid name in table ChannelInformation. ChannelMember05 Set to empty or to a valid name in table ChannelInformation. ChannelMember06 Set to empty or to a valid name in table ChannelInformation. ChannelMember07 Set to empty or to a valid name in table ChannelInformation. ChannelMember08 Set to empty or to a valid name in table ChannelInformation. ChannelMember09 Set to empty or to a valid name in table ChannelInformation. ChannelMember10 Set to empty or to a valid name in table ChannelInformation. ChannelMember11 Set to empty or to a valid name in table ChannelInformation. ChannelMember12 Set to empty or to a valid name in table ChannelInformation. ChannelMember13 Set to empty or to a valid name in table ChannelInformation. ChannelMember14 Set to empty or to a valid name in table ChannelInformation. ChannelMember15 Set to empty or to a valid name in table ChannelInformation. ChannelMember16 Set to empty or to a valid name in table ChannelInformation. ChannelMember17 Set to empty or to a valid name in table ChannelInformation. ChannelMember18 Set to empty or to a valid name in table ChannelInformation. ChannelMember19 Set to empty or to a valid name in table ChannelInformation. ChannelMember20 Set to empty or to a valid name in table ChannelInformation. ChannelMember21 Set to empty or to a valid name in table ChannelInformation. ChannelMember22 Set to empty or to a valid name in table ChannelInformation. ChannelMember23 Set to empty or to a valid name in table ChannelInformation. ChannelMember24 Set to empty or to a valid name in table ChannelInformation. ChannelMember25 Set to empty or to a valid name in table ChannelInformation. ChannelMember26 Set to empty or to a valid name in table ChannelInformation. ChannelMember27 Set to empty or to a valid name in table ChannelInformation. ChannelMember28 Set to empty or to a valid name in table ChannelInformation. ChannelMember29 Set to empty or to a valid name in table ChannelInformation. ChannelMember30 Set to empty or to a valid name in table ChannelInformation. ChannelMember31 Set to empty or to a valid name in table ChannelInformation. Text Maximum length: 144 characters. DISCLAIMER: use this utility at your own risk. I give no guarantee that the modified codeplugs will not brick your radio or cause other issues. DISCLAIMER: this is a beta version, please help testing and report problems and suggestions! Thank you. Source code can be downloaded at macrocoding.tech. Linux/MacOS/etc. users, hold on a little: I’m about to publish sources to allow building on any platform. The program is written in ANSI-C without any library call other than usual stdio/string/stdlib stuff: it can be built as-is on any platform. – now DigitalContacts are referenced by CallId; contacts with dupe names are now handled correctly. – rdt2csv now automatically detects and handles the .img/.bin files obtained by “md380-dfu read” command. – fixed a bug: the tool was still considering in its checks the older records if their number was greater than the number of the new ones reporting false errors. 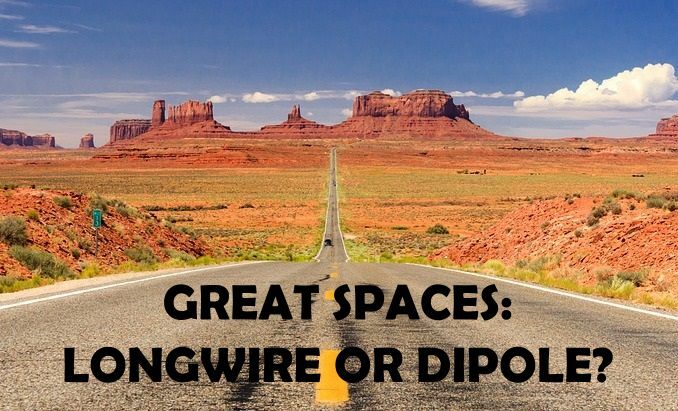 Great spaces: longwire or dipole? grazie per il programma, è prevista una versione da riga di comando per linux? Per quanto riguarda i primi due errori inoltre (Dupe entry), purtroppo il software di programmazione non controlla eventuali doppioni in tabella, oppure un utente con lo stesso nominativo che ha richiesto più DMR-ID. Spero di esserti stao utile, tu a me tantissimo! After a manual revision of the .rdt, now with wine the utility works fine… the only problem is for dupe conctactname files. A solution might be to use the CallId instead of name field. Regarding Linux, don’t worry I’m about to release the portable sources. Thanks for the suggestion of using callid instead of the name as key for the Digital Contacts, but the original codeplug editing program I used as a reference (CPS RT3) forbids multiple contacts with the same name. I would prefer to avoid the rdt2csv to generate codeplugs that could cause the original utility to crash. I understand the requirement for unique ContactID’s, but it there a way to bypass that requirement so that they can be eliminated with out manually editing the rdt file? ho riscontrato un problema con il file General.csv nel campo PcProgPassword vi erano 8 simboli “y” con dieresi. Facendo l’upgrade mi dava l’errore PcProgPassword too long. Pertanto ho deciso di cancellare il campo password e lasciarlo vuoto. Facendo l’upgrade infatti è andato a buon fine. Tuttavia ora non riesco più ne a leggere ne a scrivere il codeplug nella radio perchè mi richiede la password che tuttavia doveva essere nulla avendo lasciato il campo vuoto. Sapresti dirmi come risolvere la situazione ? Purtroppo non so dirti come risolvere il problema. Le otto “y” erano gli otto caratteri 0xFF che mette quando la password è nulla. Poco dopo ho modificato il programma in modo che le “y” non fossero mostrate e ho pubblicato subito l’aggiornamento su facebook. Essendo il programma ancora in beta, avresti dovuto segnalarmi subito il problema senza procedere. Probabilmente si può realizzare un’utility di reset della password. Stiamo lavorando in questo senso per ovviare a questo inconveniente. grazie per la risposta anche se al momento non risolutiva. Domanda, conoscendo la locazione di memoria della eeprom dove è memorizzata la password è possibile con un programmatore a basso livello forzare il valore a 0xFF per tutti gli 8 byte ? FIXED. In case of unknown PC Programming Password, there is now a unlocking procedure. When i do an export from rdt to csv, the command box shows alot of errors about digital contacts. When I do an update from csv to rdt, all the contacts except 1 are deleted wjen I look at the codeplug in the radio software. If you don’t want to make them public, feel free to sent them to my email iz2uuf ad iz2uuf dot net. I have altered my rdt file “so” many times now, I feel it was corrupt in some way. I created a new rdt file and the contacts are not affected now. Your rdt2csv software is very useful to me now and makes editing much easier, thanks. Are you working on a GUI version soon? Also, can you alter the .csv output to have channel name in column A, RX freq column B, TX freq column C? thanks so much for sharing your great work. I’m trying to merge two different code plugs I have found in internet. With the second codeplug I receive the error dupe entry. I agree this is a good check in the upload, but what about avoiding it in the export phase? I find this very usefull software to put my generated csv files into the codeplug. I automated the proces of generating the CSV files CSV from scratch, using a downloaded list of DMR repeaters. This makes the channels in the zones always consistent. The MD390 also has GPS settings, do you plan to create a version which also handles the MD390 rdt files with the GPS settings? Hi, Thank you for you software. Btw, could you please add a cmd line param to allow to ignore duplicated entries and export files anyway? I’ve inserted 4 lines taken from another csv file obtained the same command. ERROR: file radio.csv, line 2, field ‘LoneWorker’: invalid value ‘off,normal,off,”12.5″,digital,1,slot1,off,off,off,off,none,0,off,on,off,low,always,low,off,180,on,low,13579012,4,0,0,none,43887’. Don’t understand the issue can you help me? I have not looked at the code at all, been a rough week but I will unless you have a solution before I get a chance. Hi, what about this issues ? I have problem exporting codeplug from Tytera MD380-G software. Is a similar tool available that will convert MD-2017 rdt files to csv? This software was extremely helpful. I used it to combine codeplugs as well as generate working codeplugs for other radios. It sped the process up significantly. I got the following errors and thought I would report them to you as asked.